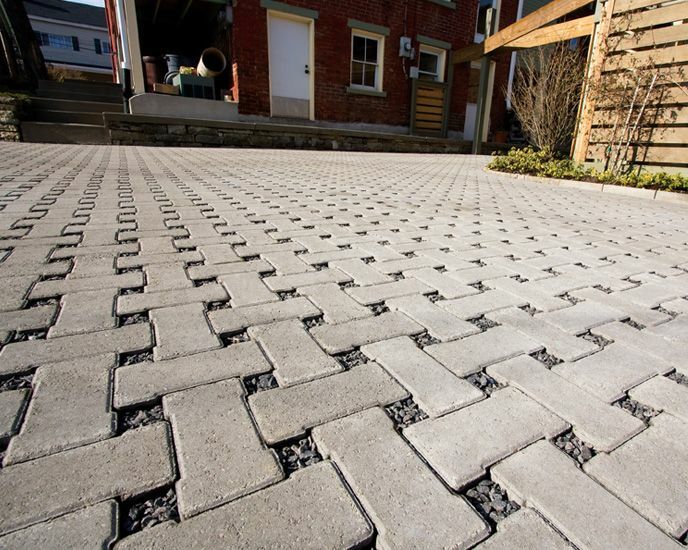 Permeable pavers are quickly becoming a popular paving technique for patios, driveways, and parking lots. They are made out of the same material as traditional pavers and just as durable. The installation of the pavers is what sets it apart from other impervious surfaces. Rainwater runoff is able to drain through the pavers and permeate into the soil beneath the surface. But how can water drain through a solid clay or concrete material? 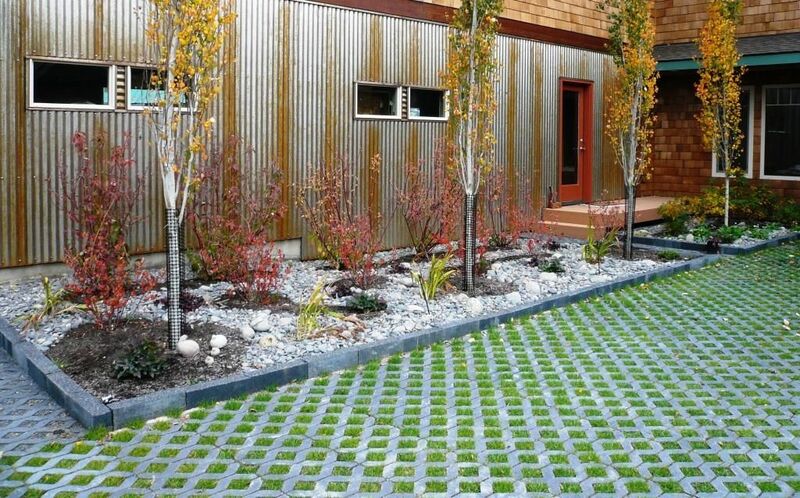 How do permeable pavers work? 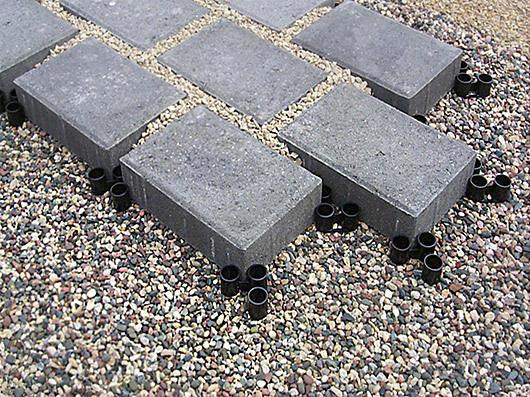 Permeable pavers have small spaces (joints) between each individual block paver that allows water to drain through. Rather than filling these gaps with solidifying agents like mortar or polymeric sand, small rocks are swept into the gaps instead. The small rocks keep the overall patio or driveway surface solid but water can still trickle through the small spaces. With traditional hardscape surfaces such as asphalt and concrete, water hits the surface and runs in whichever direction the surface slopes toward. More times than not, the water runoff flows into streets and sewer systems. The benefit of permeable pavement is that whatever water falls on the surface, stays onsite. 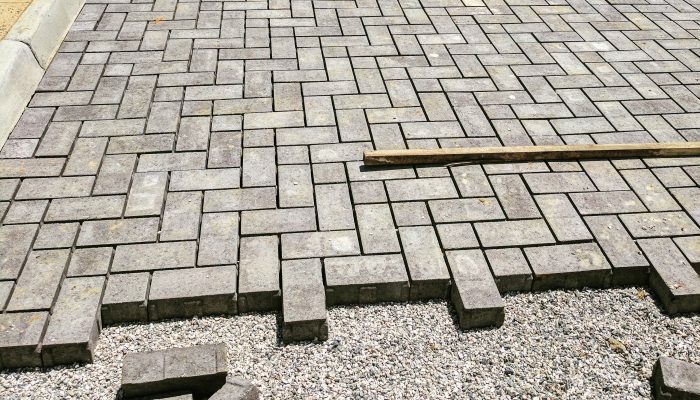 In order for permeable pavers to work properly, the base material underneath the surface needs to be installed to certain specifications. The base material is compacted coarse rock. The depth and size depends on its application and load requirements. This coarse rock acts as a filter for sediment and pollutants while the water continues to trickle down into the earth. Essential to the functionality of the permeable paving system, no fines or sand can be introduced into the joints or base material. Sand will clog up the gaps and prevent water to flow properly. This is why it is crucial to properly maintain a permeable paver patio or permeable paver driveway. The term permeable pavement can be synonymous with porous pavement or pervious pavement. Ultimately, they all do the same thing; allow water to flow through open spaces into the earth beneath. Permeable pavers are specifically designed and constructed to ensure that enough space is left between blocks for water to drain through. 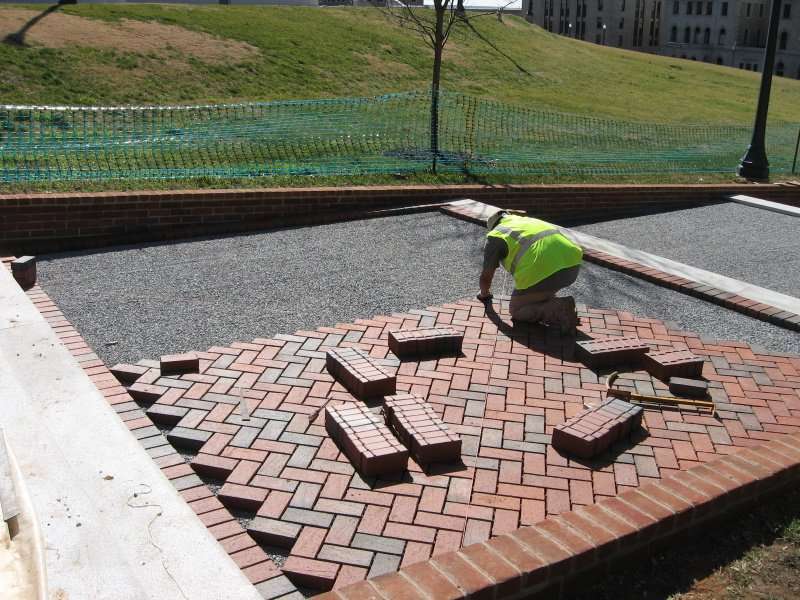 The paver material, color, size, and arrangement are completely customizable per job. The aesthetic decision should be based on budget, purpose, and location. With the growing popularity of permeable pavement, the need to understand its function is important. Even though it may look like a typical patio or driveway, any water that hits the surface will drain through gaps and into the soil. The installation of a permeable paver system is crucial to its ability to filter sediment while maintaining durability. All water that falls on a permeable pavement surface will be managed onsite instead of draining into sewer systems or natural bodies of water.